Many participants enjoy Transition [environmental movement] activities and like the idea of concrete, local actions as a positive means of building more resilient and sustainable communities. But insofar as Transition wants to address seriously the threat of climate change, its diffuse structure compromises its ability to synthesize activist efforts, follow up on projects, form alliances, and devise viable strategies. --Staggenborg and Ogrodnik (2015). The Transition environmental movement features the tagline, “A movement is growing.” Since its inception in 2005 in the UK, Transition has indeed spread to many countries. The movement valiantly attempts to make up in breadth for what it lacks in depth and impact. “Growing” is relative. Once upon a time, we early adopters envisioned that for Transition, “growth” would signify a groundswell of increasingly resilient interconnected local “Transition Town” nodes. We imagined that an ever vaster network of localities weaning themselves off of fossil fuel would reflect a deep shift in lifestyle and an evolutionary step in self-awareness which extended to right stewardship of the Earth. 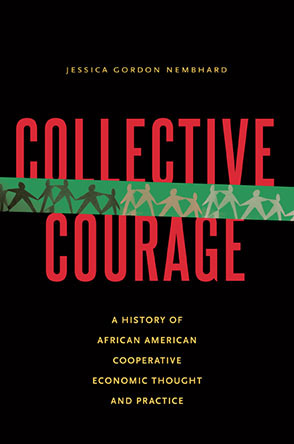 Proponents were captivated by the possibilities latent in the movement’s communitarian DNA. However, in the United States the Transition movement is stalled at the surface level of feel-good-projects. Initiators are not developing strategies for getting beyond potluck fun, and occasional meet-ups or skills-shares to truly address climate change, resource depletion, and growing income disparity in any meaningful way. We argue that the [Transition] organization’s fluid structure attracts grass-roots members, but its diffuse nature undermines its efficacy in mobilizing a social movement to achieve collective goals. --Staggenborg and Ogrodnik (2015). Precisely because we were stalwart Transition champions for years, I and activists who only want the best for the Transition environmental movement spent the past 18 months, taking a firsthand look at the reality of the movement’s traction in the Mid-Atlantic region. Our field research included group meetings and conversations with current and former Transition town initiators in: upstate New York, New York City; Pittsburgh and Lehigh Valley Pennsylvania, the Philadelphia-Central New Jersey metropolitan corridor; Northern New Jersey, the District of Columbia, Virginia, and Maryland. We uncovered what we call the “Pilot Light” phenomenon. “Pilot Light” refers to Transition initiatives throughout the region which have dwindled in number over time, and are now run by a few die hard troopers, or which are Transition Towns in name only. We spoke with numerous current and former Transition activists who had burst out of the starting gate full of plans and energy to initiate their community’s transition only to watch the group evaporate within an average of a year or two. The term “Pilot Light” was coined in this context to honor the valor of those few “Transitioners” who continue to keep the flickering initiative flame burning. We foresee a time when climate change crises crescendo with such frequency and fury that the public, which is now looking the other way, will eagerly seek out “those Transition people” who they noticed out of the corner of their eye at some point in the past. The keepers of the pilot lights therefore play an invaluable role. They will be there for others when the hard times become excruciating. On a global scale, the movement is still small….But tipping points arrive, often unexpectedly when suddenly things change. It could be that we are at the pre-tipping point stage with Transition and the potential is definitely there. But it needs a spark of some sort for that potential to be unleashed. --Simplicity Institute Report 14g (2014). The Pilot Light phenomenon prevails in every Mid-Atlantic state. The local reality scaled back our original definition of “success,” previously connected to the vision of a deep infusion of both Transition ethos and activity in communities. We began looking for Transition towns on the “official” books where there was any appreciable Transition activity at all. The Transition scorecard tally lists dozens of official and [pre-official] “muller” Transition Towns in the Mid-Atlantic region, and we know of many other unofficial initiatives who had given the model a noble try. We found a total of four Transition Towns which currently demonstrate more than the potluck-meetup social club level of functioning –two in upstate New York, one in Pennsylvania and one in Maryland. Three of these initiatives operate in towns with populations under 6,000 and the other is a countywide effort. The critical success factors for each of these initiatives ranged from having a paid staff person to being among the most longstanding progressive communities of their size on the East coast. The movement would do well to dig deeper than the convenient, catch all label, “burnout” to describe why the preponderance of Transition initiatives flame up and then fizzle. Veteran environmental activists Lore Rosenthal, and Nadine Bloch of Greenbelt and Takoma Park Maryland respectively, and Larry Chang, formerly of Washington DC, recall when over the course of a few years the DC Metropolitan (includes parts of Maryland and Northern Virginia) area boasted Transition initiatives in: Tacoma Park, Greenbelt, Baltimore, DC proper, Bethesda, Annapolis, Howard County, Reston, Laudon, and Centerville. Of these, in 2015 we found that one authentic Transition initiative remains in Maryland, and a new group in Northern Virginia arose since and has already become a pilot light. Burnout does not explain the disintegration of most of these initiatives. The Mid-Atlantic Transition Hub (MATH), a regional network working toward the “Great Transition”* (see reference below), maintains ongoing contact with most of the former Transition initiators in the DC metro area whose energy never waned, and whose environmental activism never stopped. These astute activists pragmatically took stock of the Transition model and decided to channel their passion and energy into environmental work that is more impactful. ...a study of Transition initiatives in the Northeastern United States (US), Hardt (2013) [which] finds that affiliates face multiple challenges, including problems with race and class inclusivity and leadership difficulties, as they attempt to employ non-hierarchical structures and practical projects. Thus, the Transition network has shown potential but also confronts obstacles in trying to crystalize the general movement toward local sustainability in communities of varying size and composition. --Staggenborg and Ogrodnik (2015). The saving grace may lie in whether Transition is willing and/or able to act on its own claim that the movement is one big social experiment, --open to course correction and evolution when an approach is clearly not working. Transition has been criticized for its apolitical nature, lack of sufficient local action, lack of attention to class and power dynamics, lack of diversity, and difficulties in connecting local efforts to global concerns (TRAPESE Collective, 2008; Connors and Peter, 2011; North, 2011; Smith, 2011; Stevenson, 2011; Felicetti, 2013). There is much to be said for not repeating tweaked versions of the same model and expecting a different result. Yet Transition leadership in the US continues to miss opportunities to meaningfully address these harder questions. To date the dominant culture within the US Transition movement remains unexamined by those steeped in it, --perpetuating the claims of its critics. Throwing webinars and revolving door best practice conference calls at the problem has not helped. There are structural, process, and content issues which must be addressed if there is hope of doing more than skim the surface of resilience-building. A model flawed by a structure which is not strategically decentralized, (e.g. use of a system(s) for distribution of power and authority), but merely diffuse, --rendering alliance-building, consistent cogent action, and scaling up difficult. A core organizing premise grounded in a more cohesive British group social dynamic which has not translated among those deeply submerged in the American individualist and consumerist worldview. Any given group of Transition initiators are all over the spectrum in their idea of, and especially personal commitment to, a) what an alternative lifestyle looks like, b) and how to work toward it. A functional adaptation beyond saving money on utility bills for large urban areas. There are organizing model questions that perpetually arise on every Transition -best practice conference call- yet are never resolved. For example, in towns such as New Paltz, New York, Greenbelt, Maryland, or Burlington, Vermont where one trips over innovative environmental work every two feet, would-be Transition initiators struggled to figure out how they could add real value to pre-existing activities before they threw in the Transition towel. Further, when Transition initiators are new to local scenes where multiple groups have momentum, they often encounter pushback and resentment proceeding from fear of cooptation. Other -process- and -content- challenges require national Transition leadership with vision. Decisive action could be taken to course correct. For example, macro level strategies could be developed which translate at all scales to support local initiators who confront the impact of pervasive corporate capitalist culture as they recruit and do outreach. A case in point, the extent to which Americans have been acculturated not to collaborate well in groups became apparent in the Transition movement. Intimate, sustained relationships and group trust is the pith of Transition work. Transition US addressed this core cultural determinant by engaging a round of consultants to offer pricey trainings at various locations throughout the country. Transition groups continue to dissolve, --or never really take off. So for now, Transition potlucks and community garden projects, at the very least alleviate climate change anxiety. Participants feel good about doing something constructive to prepare for the hard times which they know lie ahead. Just that much substance is meaningful enough for some. Those activists who understand the tremendous latent potential of Transition, hold out the hope that the movement might begin to self-observe, course correct, and walk the talk. The jury is out and we, its boosters in the Mid-Atlantic Region, remain cautiously optimistic. In the meantime, having taken stock of the regional reality, The Mid-Atlantic Transition hub is listening deeply for emerging needs. These needs are driving new approaches designed to deepen impact, reach more people, and pragmatically work toward The Great Transition. Alloun, E. and Alexander, S., 2014. The transition movement: questions of diversity, power and affluence. Simplicity Institute Report 14g. Connors, P. and Peter, M., 2011. Transitioning communities: community, participation and the transition town movement. Community Development Journal, 46 (4). Felicetti, A., 2013. Localism and the transition movement. Policy Studies, 34 (5–6). Freeing Electric Cooperatives from Fossil Fuel Serfdom?